First-year Master of Arts Management students have been collaborating with Chicago’s critically acclaimed Deeply Rooted Dance Theater as part of their intensive, industry-focused Marketing Strategy course in a partnership that aims to encourage and inspire. 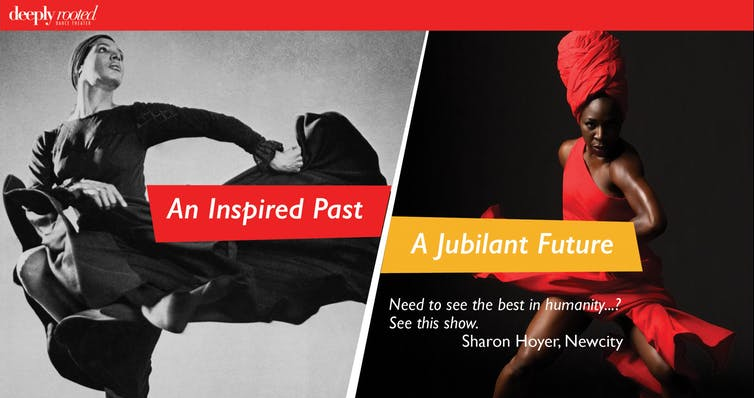 As a non-profit organization whose mission is to “re-imagine and diversify the aesthetics of contemporary dance by bringing together modern, classical, American and African-American tradition in dance and storytelling,” Deeply Rooted has worked with our students with the hope of reaching new audiences. Specifically, the Arts Management students involved in this project hope to encourage and inspire fellow Columbia students and staff to attend the company’s upcoming December performances. Working with the team at Deeply Rooted has been a pleasure, and we hope you have the opportunity to experience their powerful performances, too. As part of this initiative, Deeply Rooted has offered student tickets at a discounted price with a promo code SAT25 for Saturday, December 15 and SUN25 FOR Sunday, December 16!